There are a number of jogging groups under GO active in Oxford City. Descriptions of our groups can be found below, along with a timetable. 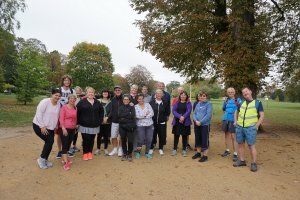 For those looking to progress through walking, Walking my way to running is a women's only brisk walking group. The sessions predominately consists of walking but includes portions of jogging for those who wish to. This session is led by Sophie who is a qualified jog leader. 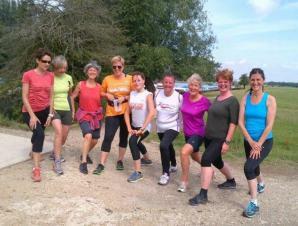 For those looking to start jogging or those who have run before, we have a women only Garden Cafe Runners group. The Garden Cafe runners welcome all abilities, and sessions are led by qualified volunteer jog leaders. The group finishes at Restore cafe for a chance to socialise afterwards. We also have a Couch to 5k jogging group which is a mixed gender session run by the silver joggers. This is led by Keith and Jeff who are qualified jog leaders. 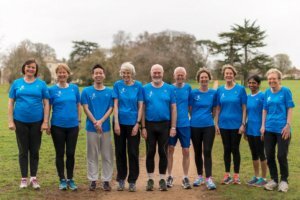 The Silver Joggers also run a Regular joggers session for those who have progressed from couch to 5k, or have already jogged before.